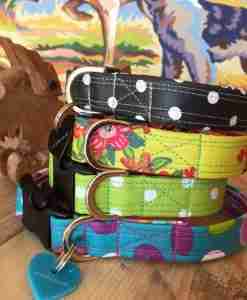 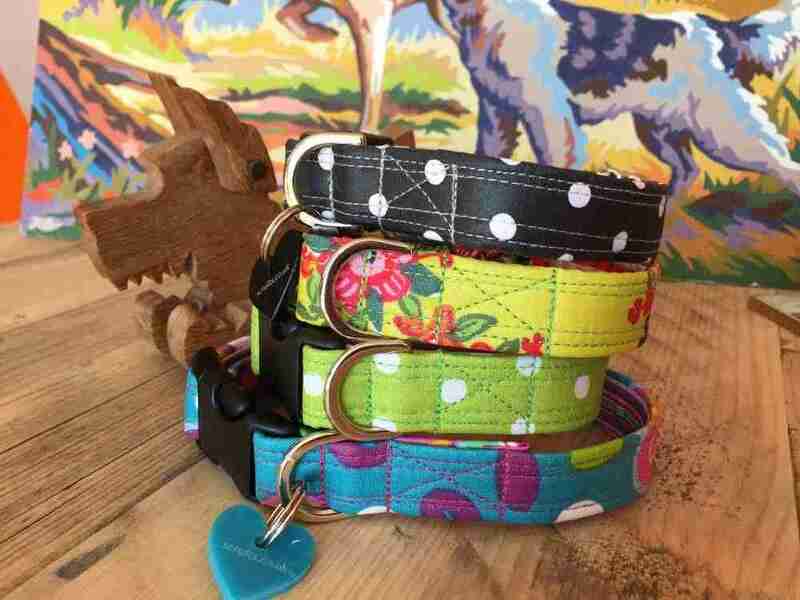 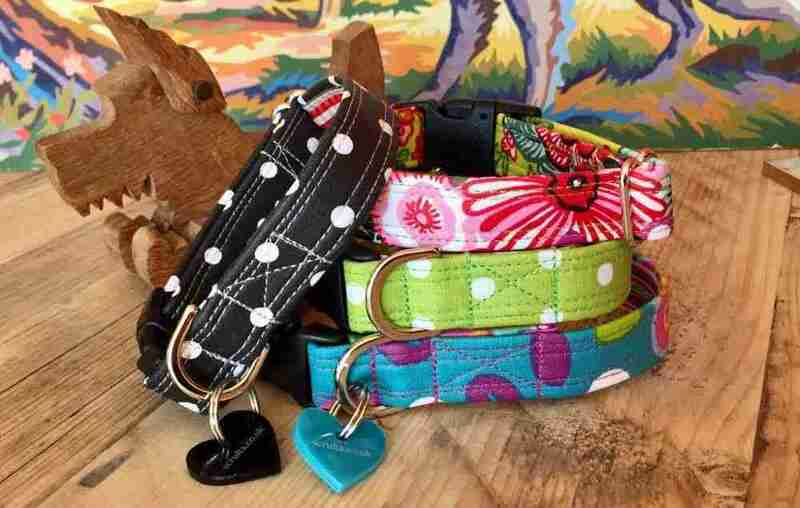 A set of four Scrumptious Springtime mini dog collars, just perfect for those little puppies or dogs with delicate necklines. 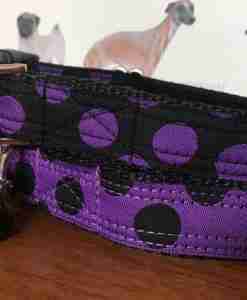 There are four beautiful colourways, two florals in lime or turquoise and two classic polka dots in black/white or grass/white. 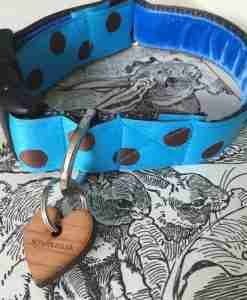 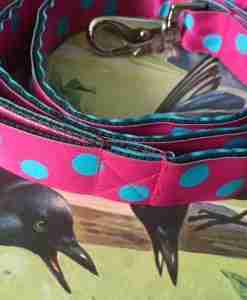 These delightful dog collars are made using a coated cotton, so are slightly water repellant (just in case you fancy a dip!) 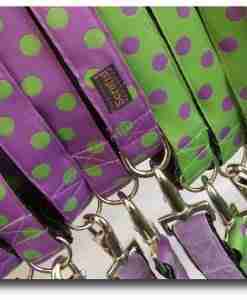 and are lined with a variety of ginghams or stripes. 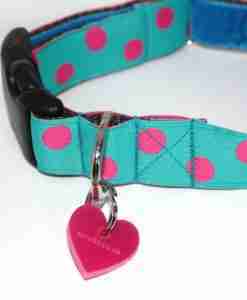 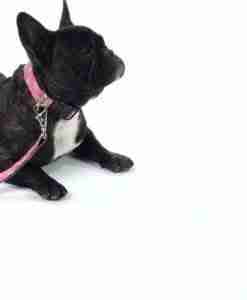 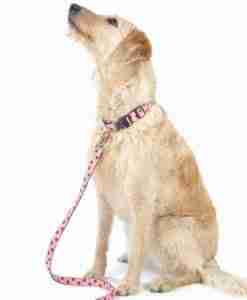 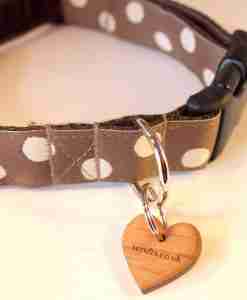 As ever, an exclusive Scrufts’ heart shaped tags says ‘fetch’! 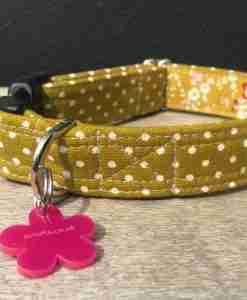 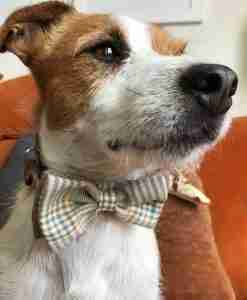 If you feel you’d like to order this collar in a longer length then please message me on scruftsshop@gmail.com and your wish is my command !